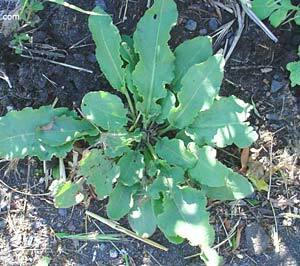 Rumex obtusifolius is a perennial herbaceous flowering plant that grows to a height of 50 to 130 cm (20 to 51 in). 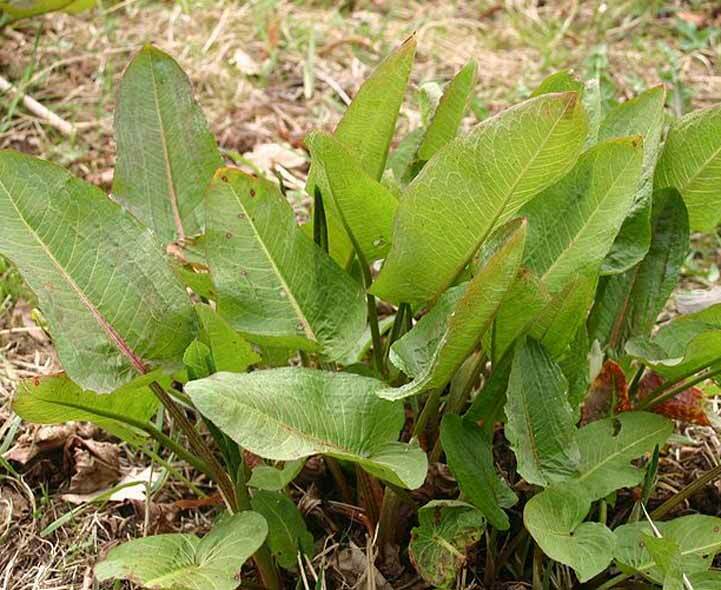 It is easily recognizable by its very large oval leaves with cordate bases and rounded tips, some of the lower leaves having red stems. 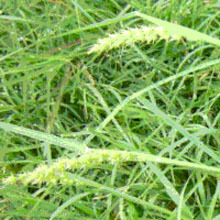 The edges of the leaves are slightly "crisped" or wavy, the upper surface is hairless and the under surface may be papillose. 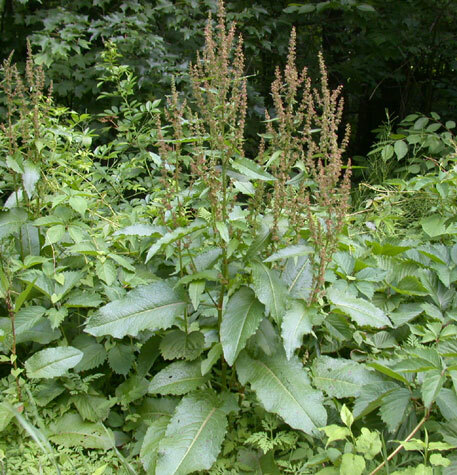 The leaves of this plant can grow to about 40 cm (16 in) in length. The stems are tough, often reddish, and unbranched until just below the inflorescence. 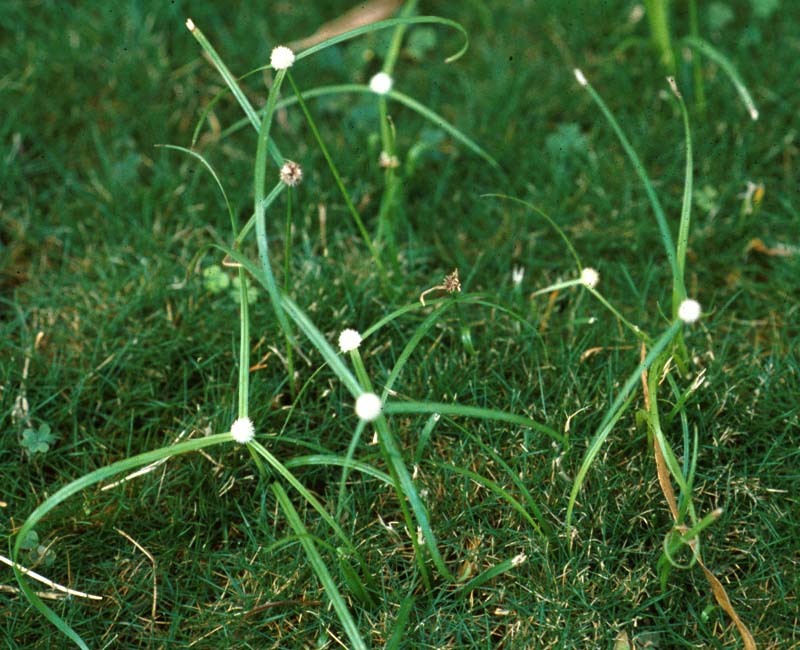 The junctions of the petioles with the stems are covered by a sheath formed by two fused stipules known as an ocrea, a thin, paper-like membrane - a characteristic of the Polygonaceae family. 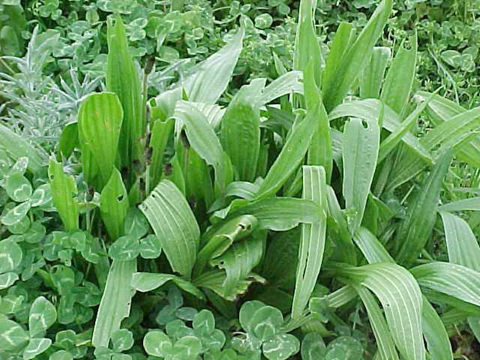 The stem leaves are alternate and are narrowly ovate–lanceolate. The inflorescence consists of large clusters of racemes which contain small greenish flowers that change to red as they mature. The perianth-segments are in two whorls of three. Segments in the outer whorl are small and spreading while the inner whorl forms fruit valves, which are widely ovately-triangular. The seeds produced are dry and reddish brown. 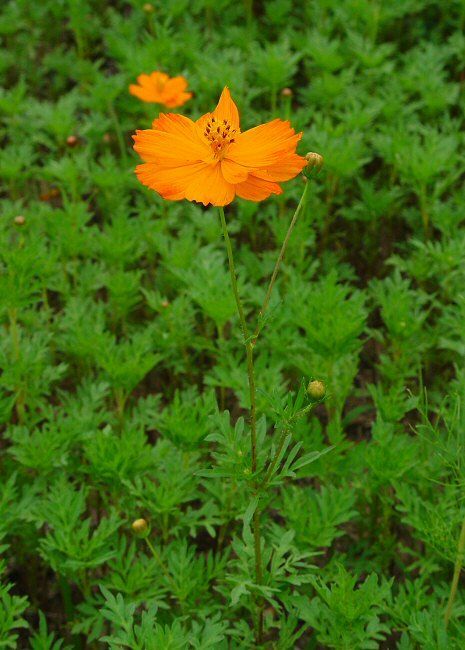 This plant blooms June through September.